Magnetic recording has been the most successful data storage technology over the last several decades. A magnetic recording head utilises magnetoresistive tunnelling, where one ferromagnetic layer is pinned – typically by exchange bias induced at a ferromagnet/antiferromagnet interface. The most popular antiferromagnet is Iridium Manganese (IrMn), and its usage has increased significantly. Accordingly, the price of Ir has risen by a factor of 4 in the last five years and by more than a factor of 10 in the last decade. It is expected to soar perhaps by a factor of 100 due to its wider applications. This workshop intends to provide current understanding of the exchange bias from the viewpoints of both theoretical and experimental aspects. It will cover the field from atomistic analysis to macroscopic treatment and characterisation. In general, Japan and Europe have leading positions in analytical and numerical modelling as well as atomistic and macroscopic characterisation of the ferromagnet/antiferromagnet interface. The European groups lead in numerical calculations and macroscopic characterisation of the interface. This workshop offers an opportunity for European and Japanese researchers, including students and postdocs, to access the latest research outcomes and to discuss their results with the world-leaders, and encourage future collaborations. 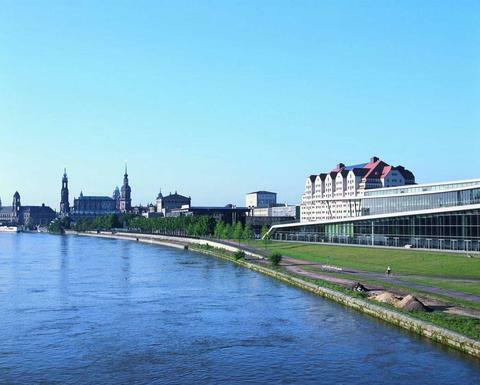 The workshop is being held in Dresden, Germany, immediately prior to the opening of INTERMAG Europe 2014 in the same city. As can be seen in the agenda below, presentations will be given by many of the world’s leading experts in the field of exchange bias.